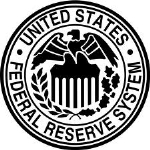 The Federal Reserve System was created by the Federal Reserve Act in 1913. The System consists of a seven-member Board of Governors with headquarters in Washington, D.C., and twelve District Reserve Banks located in major cities throughout the United States. This collection of items highlights FRASER's holding on the Federal Reserve System. Items specific to the individual institutions that make up the System are available in separate collections.